Many people travel with their pets to Mexico. If you would like to take your dog or cat with you on your Mexican vacation, there are a few steps you should take in advance. Note that for Mexican regulations only dogs and cats are classified as pets: other animals may be imported but the regulations are different. Mexican regulations allow travelers to enter the country with up to two dogs or cats, but if traveling by air, airlines will only allow one pet per person. If you will be traveling to Mexico with more animals, you should contact the Mexican consulate or embassy nearest you for more information. Either APHIS Form 7001 (pdf) Vet Health Certificate OR a certificate of good health issued by a veterinarian and printed on letterhead (handwritten documents are not accepted) in English and Spanish with the vet's professional license number or a photocopy of the license, and the vet's signature. Take the original and a simple copy. Proof of rabies vaccine administered at least 15 days before the pet's arrival in Mexico. The vaccination certificate should state when the vaccine was administered and how long it is valid, as well as the product name and lot number. When you arrive in Mexico with your pet, SAGARPA-SENASICA (Secretariat of Agriculture, Livestock, Rural Development, Fisheries, and Food) personnel will conduct a brief physical inspection and verify that your pet is in compliance with the above requirements. If you are traveling by air you will need to check with your airline well in advance about their rules and extra charges for transporting pets. 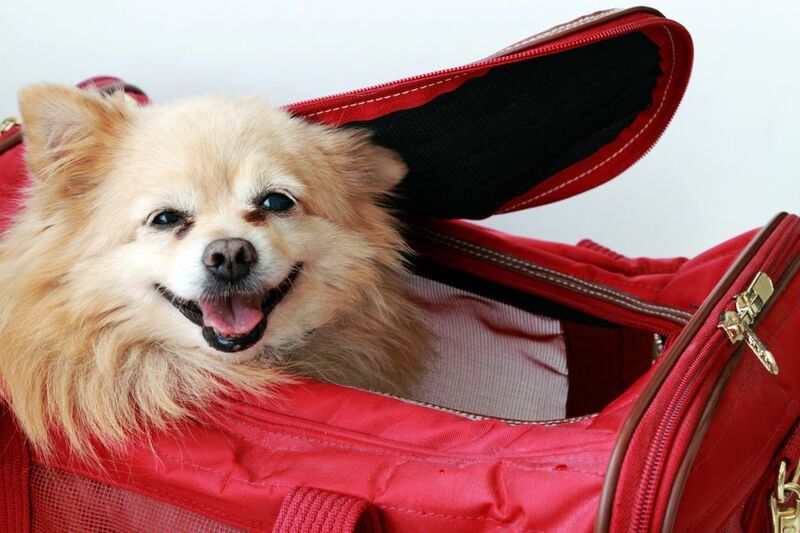 The airline has the final say on whether or not they will carry your pet (and each airline may have different rules), so be sure to check all the requirements with them prior to purchasing your ticket. Some airlines do not transport animals at all. Most airlines will allow small pets to travel in the cabin with you, but the pet will need to be in an airline-certified travel crate that fits beneath the airplane seat. Check with the airline for acceptable dimensions. AeroMexico's regulations for transporting a pet in the cabin are as follows: Pets are allowed in the cabin only for flights of less than six hours. The carrier must be secure and well-ventilated. The interior base of the carrier should be of an absorbent material, and it must fit under the seat in front of the passenger. The carrier must be large enough to allow the pet to stand, turn, and lie down. The pet must remain inside the carrier for the entirety of the flight and it is prohibited to provide food or drink to the pet during the flight. Traveling by car is the most convenient way to travel with your pet. Traveling by bus and taxi can be difficult unless your pet is very small and travels well in a carrier. Read about how to travel with your dog. Finding hotels and resorts that will accept pets can be a challenge. Inquire beforehand to make sure your furry friend will be welcome at your accommodations. Bring Fido has information about hotels in Mexico that accept pets. Bringing your pet back with you to the United States? Depending on how long you have been in Mexico, you may want to get a health certificate (Certificado Zoosanitario) from a licensed Mexican veterinarian, to present when you enter your home country. Make sure your dog's rabies vaccination is still up to date. Check the Center for Disease Control website for the most updated information.